You wanna know how we ate most of the loaf of the Whole Wheat Walnut Bread that MaMa made for yesterday's post? 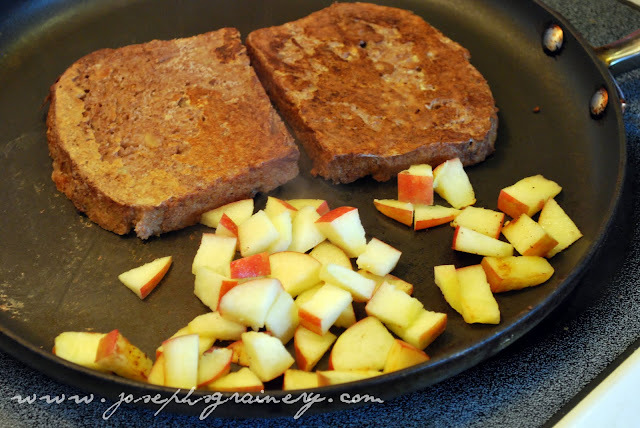 Carmel Apple French Toast. It was de-licious! Directions: In a shallow dish, whisk together the ingredients. Lay each slice of bread down in the mixture and turn over to coat both sides. Cook for about two minutes each side over medium heat. While the toast is cooking, throw the chopped apple on the skillet with the toast and saute it for just a short while, letting the apple get a bit tender. 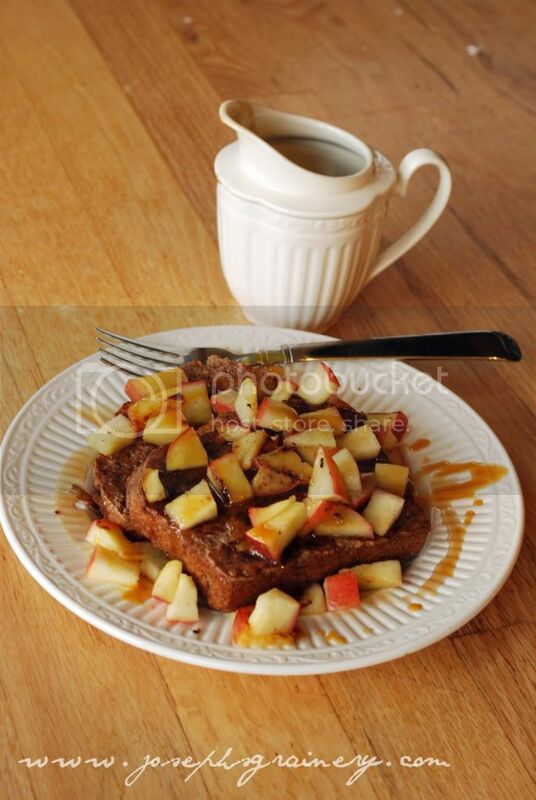 Plate the French toast and top with the apples, carmel sauce and maple syrup. Yumm!